Breakfast is always an important meal, but with the amount of activity you’ll be doing during a typical Disney World vacation, it’s especially important to start your day off right with a good, hearty breakfast. 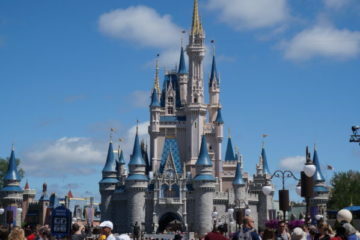 What’s more, Disney World restaurants, especially the quick-service ones, have some really great deals on breakfasts that will fill you up and save you money later on. 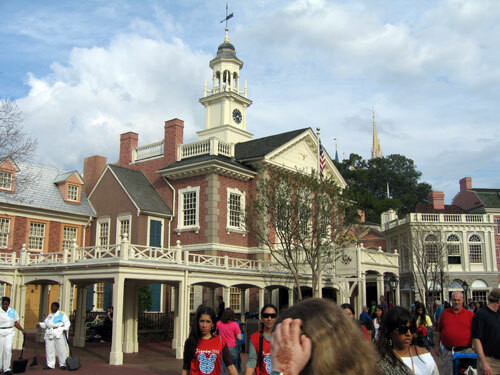 So let’s check out the top ten counter-service restaurants in Disney World! 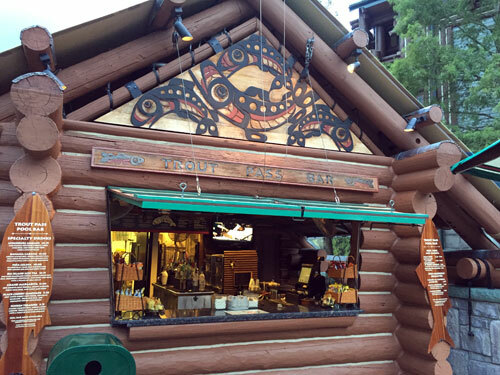 Roaring Fork at Disney’s Wilderness Lodge Resort is set in a rustic atmosphere that just exudes comfort and warmth! It looks very rich in the lodge’s log cabin- style main building, but it’s actually a quick-service restaurant that serves up a delicious breakfast. 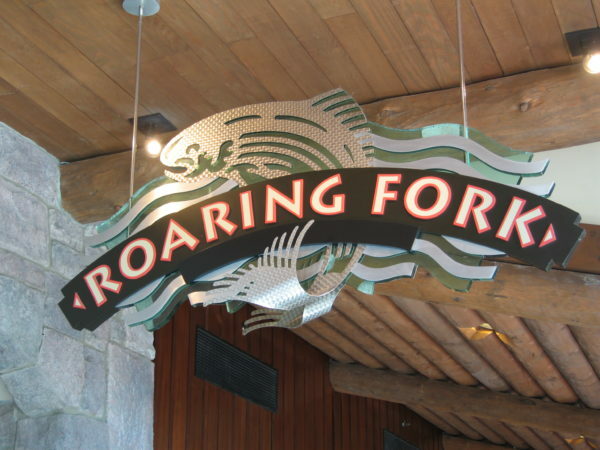 Roaring Fork at Disney’s Wilderness Lodge is an excellent breakfast location among the deluxe resort hotels. Starting at 6am, you can get ready-to-go items like pastries, fruit, and coffee, and starting at 7am Roaring Fork serves hot breakfasts. There are some familiar options like the Roaring Breakfast Platter with scrambled eggs, hash browns, bacon, sausage, and ham, Banana Foster’s French Toast, and the famous Mickey Waffles. Then there are some specialty dishes like the 10-hour pulled pork cheese grits with a poached egg and the Breakfast Flatbread. For the kids, the Mickey Waffle Basket is served with bacon, the Saddlebag Sandwich is a ham, egg, and cheese croissant, or a breakfast box with cereal, milk, apples, carrots, and peanut butter, are all great options. Capt. Cook’s at Disney’s Polynesian Resort is another quick-service restaurant at a Deluxe Disney Resort. The breakfast menu is pretty limited with a breakfast platter, a breakfast sandwich, a breakfast burrito, and oatmeal, plus of course the Mickey Waffles. The real notable dish here is the Tonga Toast, which has become the famous breakfast dish of Kona Café where it is difficult to get an Advanced Dining Reservation, especially at breakfast time. The toast is exactly the same at Capt. Cook’s as it is at Kona Café except that it doesn’t come with a side of the strawberry compote and it’s less expensive! World Showcase is not a great place for breakfast because much of the area doesn’t open until 11am, but France is right next to the International Gateway and the bakery here opens at 9am! Les Halles Boulangerie-Patisserie is a French Bakery with fresh, hearty, and delicious pastries, croissants, breads, cheeses, and beverages all day. You can even get a mimosa to start your day in Epcot off right! Check out that giant cinnamon roll! Pictured with Le Fou’s brew. 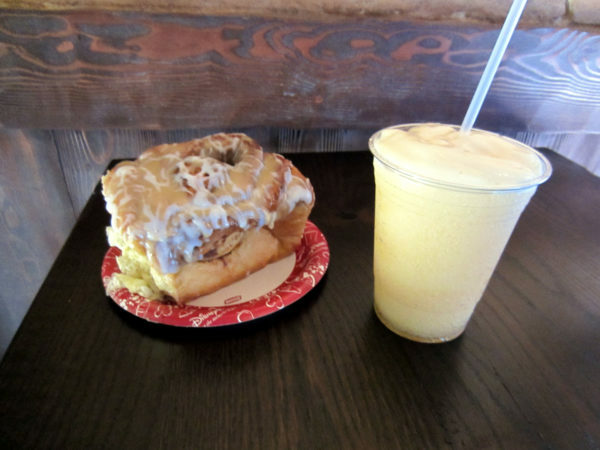 Gaston’s Tavern is a grab-n-go location with mostly snack items, but if you stop here for breakfast you’ll definitely want to try the warm cinnamon roll. It’s huge, stick, and incredibly delicious. 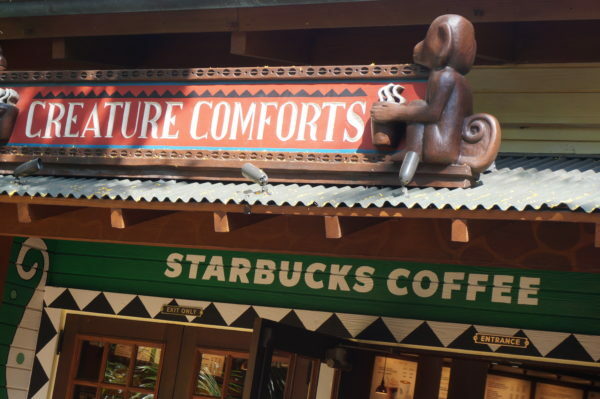 Creature Comforts is Disney’s Animal Kingdom‘s Starbucks location. They serve all of your favorite Starbucks treats plus some delicious snacks like the Colossal Cinnamon Roll, which is definitely large enough to share! Creature Comforts isn’t only tasty, but they also give back! Don’t forget to pick up a Flat White latte. For every latte purchased, Creature Comforts will donate a portion of the proceeds to Disney’s Conservation Fund, which among other things helps protect the Cotton-top Tamarin, an endangered South American monkey. Why a Flat White? Because the creamy white dollop on top reminds us of the white tuft of hair on the Tamarin’s heads. 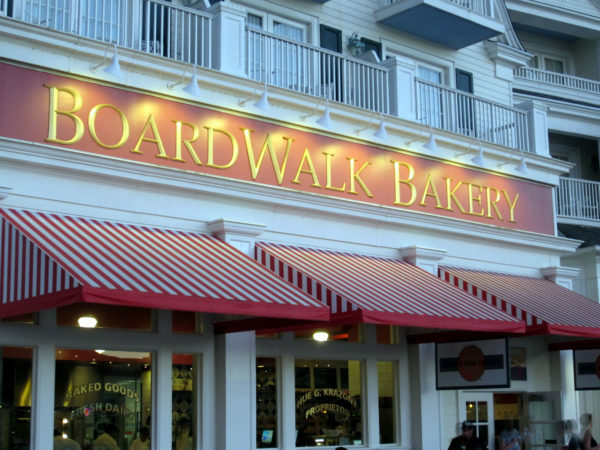 The Boardwalk Bakery is located on Disney’s Boardwalk right next to Disney’s Boardwalk Inn. The Boardwalk Bakery has some delicious breakfast items! The bakery serves pastries all day long including some amazing cupcakes, but they really shine at breakfast. The Boardwalk Bakery also has a very tasty cinnamon roll with cream cheese frosting, plus you can get a Jersey Crumb Cake, muffins, and croissants. They change muffin and cupcake flavors for different seasons, and they also have a variety of beverages like coffee, cappuccino, hot cocoa, juice, and tea. 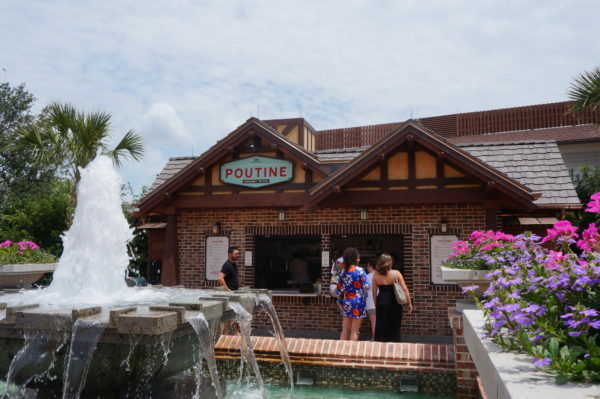 When Daily Poutine opened in Disney Springs, it was a huge hit. They started with serving a breakfast poutine with tater tots instead of fries and mixing some sausage in. However, they have cut back their menu a bit. The Daily Poutine serves breakfast seasonally. Daily Poutine will still serve their breakfast poutine seasonally, so if you visit during a busy time of year, check it out! You won’t regret it! 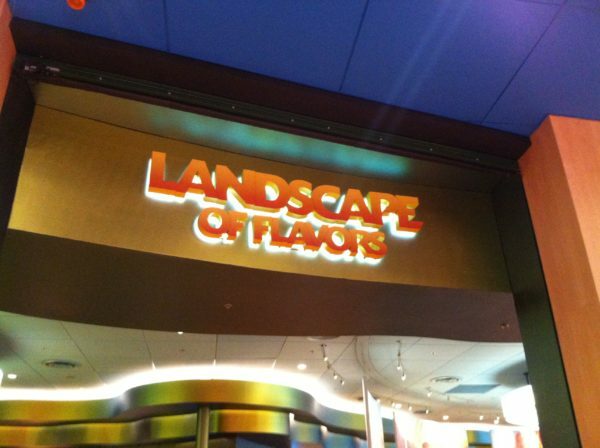 Landscape of Flavors is a food court in Disney’s Art of Animation, which is a value resort. As such, this cafeteria-style counter-service restaurant is simple but that doesn’t compromise the quality of the food. 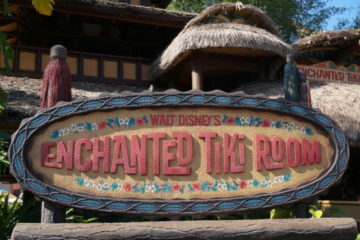 This is widely considered the best food court among Disney’s value resorts. Landscape Of Flavors is a top-rated food court among the Value Resorts. For breakfast, there are several stations: French Toast Shop, Omelet Shop, Pancake Shop, Waffle Shop, and Specialty shop. Each shop has similar sides, and the special shop serves pastries, muffins, cereal, and breakfast breads. Don’t forget to try the Pineapple Paradise! It tastes like a Dole Whip smoothie! Satu’li Canteen is the quick-service restaurant in Disney’s Animal Kingdom’s new Pandora – The World of Avatar area. 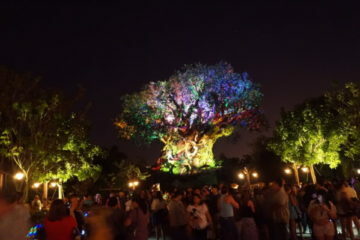 Satu’li is one of the most unique restaurants in Disney World not just because of the décor! Have you tried the steamed pods? Satu’li, like Daily Poutine, also noticed that they didn’t have a huge demand for breakfast, so they’ve removed the breakfast items including the steamed pods from the regular menu. However, you can still get breakfast seasonally during busy times of the year. Besides the steamed pods, Satu’li will also serve a very large portion of steak and eggs and pork hash, which is very good! Be Our Guest is Magic Kingdom’s newest restaurant, and it’s the only one in the park that has given Cinderella’s Royal Table a run for its money. What makes Be Our Guest unique is that it’s a counter-service restaurant by day and a table-service restaurant by night. However, they don’t compromise quality for convenience. The quick-service breakfast is served in the same fancy dining room as dinner, and the chefs prepare similar delicious dishes regardless of the time of day. You can enjoy breakfast at Be Our Guest! 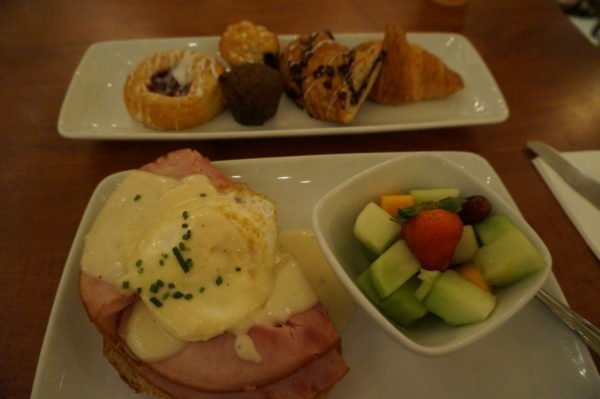 For breakfast, you’ll be treated to French cuisine like the Feast a la Gaston, a typical breakfast platter with eggs, potatoes, bacon, fruit, and pastries, an Open Faced Bacon and Egg Sandwich, a Croissant Doughnut, Assorted Meats and Cheeses, and quiche. Kids can choose from crepes, oatmeal, French toast, eggs, cereal, and fruit. You can even get a grey stuff cupcake for dessert! Be Our Guest is also the most expensive counter-service breakfast restaurant on our list. Adult entrees run about $25 and kids’ meals are about $14. When you add drinks and possible a souvenir cup, breakfast here can get pretty pricey. But if you’re on any of the dining plans, it’s a great use of a quick service credit! What’s your favorite Disney counter-service restaurant for breakfast? 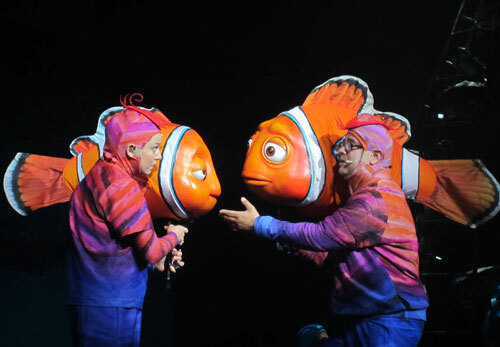 Don’t Overlook These Disney World Attractions!